The elegance of "Old Hollywood" abounds in this unfurnished 1920's apartment located in hip Mid-City Heights. Loaded with character, this spacious apartment home features polished hardwood floors, three beautiful chandeliers, vintage light fixtures, a decorative fireplace, a restored 1957 Western Holly stove, two large walk-in hall closets, built in cupboards, Two bedrooms [one could be converted to an office] and one bath with separate bath and shower. In-Unit laundry. Off street parking for one car. This is a SMOKE-FREE building. 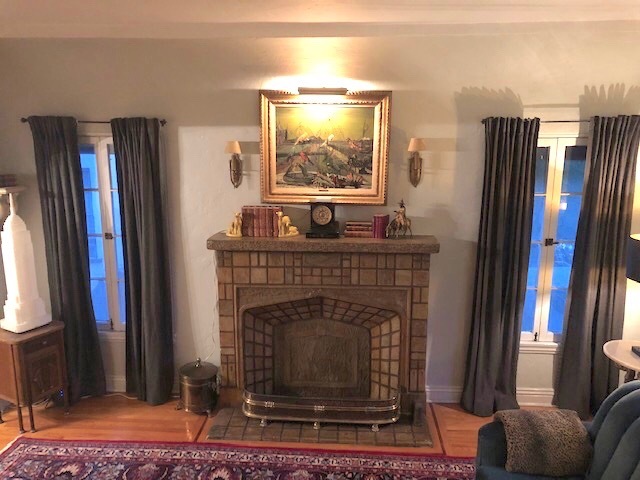 Close proximity to Sony Pictures, Fox Studios, Paramount Pictures, museums, art galleries, coffee shops, restaurants, LAX airport, Hollywood, Beverly Hills and downtown Los Angeles. To be considered, please provide excellent credit, rental references and proof of funds. Owner is a licensed California real estate agent.